I give this product a 4.5 star rating. With my first pregnancy, I carried very wide and didn't have any issues with my back. With this, my second pregnancy, I am carrying all out front and have had lots of back pain as well as lower abdominal pain. This support belt is great! After my baby had fractured two of my ribs on one side, then two on the other side, I was in quite a bit of pain as the weight of my belly was pulling on the injured ribs. My husband stopped at Motherhood in our local mall and bought me this support belt. I really does pull the weight of your belly up and relieves your back quite substantially. 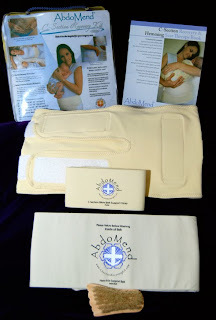 Per Motherhood: "featuring an abdominal support pad that tucks under belly and lifts up, an adjustable belt that allows you to position the support pad for your comfort (and adjust to your growing belly! ), and an upper tummy strap for extra security, this maternity support belt provides a level of belly support that you will love! Priced at just under $40, I found this to be a great investment which made the last couple months of my pregnancy much more comfortable. Click on image for purchase option. I give this item a FOUR star rating. 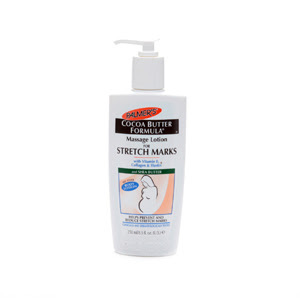 I can't guarantee this lotion will keep you from getting stretch marks-a lot of that depends on your genes....but I can say it feels great on that itchy belly! I used it every day, twice a day, on my belly, sides, lower back, bum and hips and was lucky to come away with only a few slight marks with my first child. I am following the same regiment with my second pregnancy and hoping for the same results. It's a nice thick and creamy lotion which makes even the itchiest bellies feel better while working on eliminating stretch marks.